Eight months on from its stunning defeat at the hands of Narendra Modi, the Congress party still does not know how to find its footing on the frightening new political terrain where it is placed. With just 44 MPs in the Lok Sabha and only a handful of state governments under its control, the party has slipped into a deep existential crisis in which neither its 125-year-old foundations – such as they are – nor the stifling embrace of its dynastic leaders is able to hold the party faithful together. 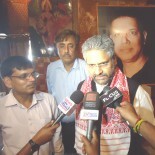 The defection of Krishna Tirath to the Bharatiya Janata Party is perhaps the first time someone who was a cabinet minister in an outgoing government has crossed over to the winning side so soon after an election. In Haryana, senior Congress leader Birender Singh switched sides on the eve of the recent assembly election and was promptly rewarded with a berth in the Union cabinet. Between the electorate’s anger towards the Congress and Amit Shah’s skill in engineering key defections, the BJP’s project of a ‘Congress-free India’ is making remarkable progress. And what remains of the party is slowly being destroyed by the anti-leadership of the Gandhis and by the ideological and organizational disarray visible at all levels and branches of the party (like Punjab, Assam and Tamil Nadu) and also now in its upper echelons. A telling example of the ideological confusion and even panic prevailing at the top is the recent comment by senior party leader Janardan Dwivedi describing Modi’s rise to the prime ministership as “the victory of Indianness”. “Modi and the BJP have been successful in convincing people that from a social point of view, they are closer to Indian citizens”, he told rediff.com’s seasoned bureau chief, Sheela Bhatt on Wednesday. “In essence, without spelling it out further, in a way this is a victory of Indianness,” he said. 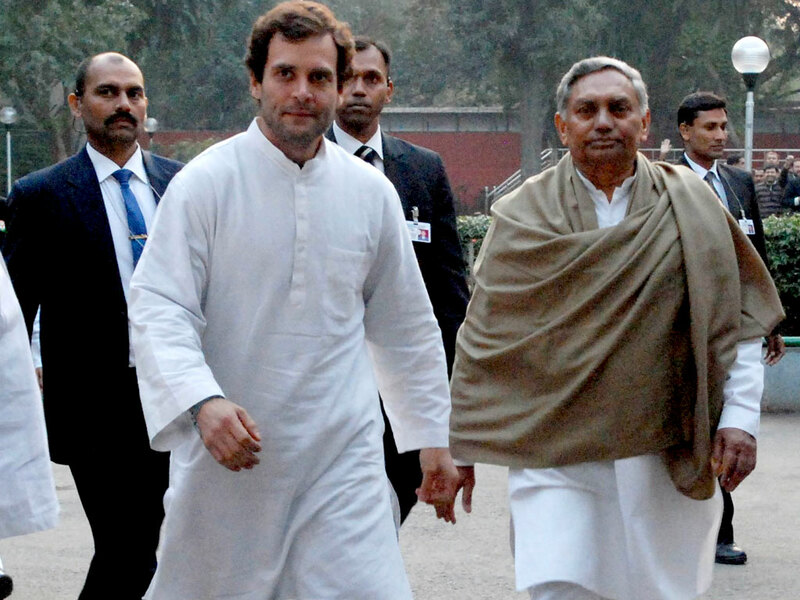 Dwivedi, as any reporter who has covered the party knows, is not any old Congressman. He is not a maverick like Mani Shankar Aiyar or a junior leader like Shashi Tharoor, but the man Sonia Gandhi relies on the most for public political communication. So how do we interpret the meaning of what he has just said? Had the remarks been made right after the election result, one could put it down to shell-shock. But coming nearly a year after that catastrophic verdict, his views suggest the condition pyschologists call post-traumatic stress disorder has breached the walls of the party’s “high command”. Since he has not sought refuge in the claim of being misquoted, it is reasonable to conclude that Dwivedi is either preparing the ground for his defection or has lost the capacity to reason. I say this because his claim is not even one the BJP has ever made publicly. It fought the 1999 and 2004 elections on the platform of Sonia Gandhi’s Italian origins – some BJP leaders even targeted Rahul Gandhi for not having an Indian mother — but chose to attack the mother-son duo in 2014 for being dynasts and not ‘foreigners’. The BJP, and most independent analysts, see Modi’s victory as an expression of the electorate’s aspirations for economic betterment, and they are right. Indians voted for the man they believed was better placed to deliver employment and development. They did not vote for him because he was more “Indian” than Rahul Gandhi. So why did Modi win? Apart from leveraging his experience in administration and the support of corporate India, he proved to be better skilled in the art of politics and communication than anyone in the Congress – which compounded the accumulated sins of misgovernance with political blunders that the BJP made ample use of. No rocket science or deep cultural theory is needed to decode the meaning of the result. All one needs to do is plot the contours of India’s recent political history. Every time a ruling party has been completely out of sync with the aspirations of the electorate, it has ended up being trounced at the hustings. The popular yearning for democracy unseated Indira Gandhi in 1977, the aspiration for economic justice and social harmony saw Atal Bihari Vajpayee and LK Advani lose in 2004, while the desire for growth, jobs and development led to the defeat of the UPA in 2014. These three electoral defeats were not the product of parties that were “un-Indian” in a cultural sense but of party organizations so beholden to their familial or corporate stakeholders that they lost their political instincts and started believing their own propaganda. Truth to tell, the reason Dwivedi cannot look at the defeat of the Congress in this way and finds refuge in pseudo-pyschological babble is because the party has long stopped functioning as a political organism. Sonia Gandhi has cracked the whip and got the party to officially denounce Dwivedi’s formulations. But what will she do about the underlying pathology? There is no scope in family-run enterprises for critical analysis and thinking. The reason the Congress is unable to grasp and respond to the demands of the country is not because its president was born in Orbassano, Italy, but because she is not an effective leader, her designated successor, the Indian-born Rahul, is arguably worse, and there is no scope for women and men with sharp political instincts to rise to the top. It is a pity Dwivedi could not bring himself to say this. I wish the mother-son due retires from active politics and let the congress find its feet. If they do so now, I hope they will be able to cross 44 in the next general elections. It is most unfortunate that no leader of any national stature has been allowed to grow by them. Most of them are either young, or are tainted one way or other. This entry was posted on January 22, 2015 by Siddharth Varadarajan in Indian Politics.